Mobile phones are everywhere and the ease which mobile apps provide to do tasks is stupendous. It is not easy and sometimes possible to access your desktops and laptops. In such cases, mobile phones are powerful tools. Today, barring few exceptions, most of the work which can be done using laptops and desktops can now be easy;ly executed using mobile phones. Phones today have so many features that things like paying bills, building presentations etc can be done using them at a quick pace and amazing ease and this is true in case of posting classified adds too. 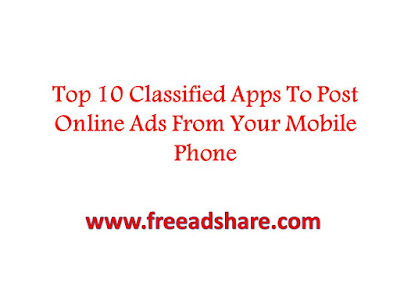 Today, a number of mobile applications have come up which facilitates users to post classified adds using the smartphones on their hands without much hassle. Top 10 such mobile-friendly classified applications are briefed below. This is the app which gives an additional feature with your add postings via phone, that provides your voice description too. This app verifies accounts with contact/phone numbers and is also safe when it comes to transactions. Without permission, no one can get access to your phone numbers. The app which is useful to buy and sell the old things. You can get rid of the stuff you don’t want by selling them online using this app for your add posting. It also has an option of private chats where one can deal with sellers/buyers. It is a free app which has a chat option for buying and selling stuff. There are many categories that this app offers to put your product under. The chat option is available which can be used for private dealings. Get good deals on this apps at your affordable prices if you are here for buying something using this app. 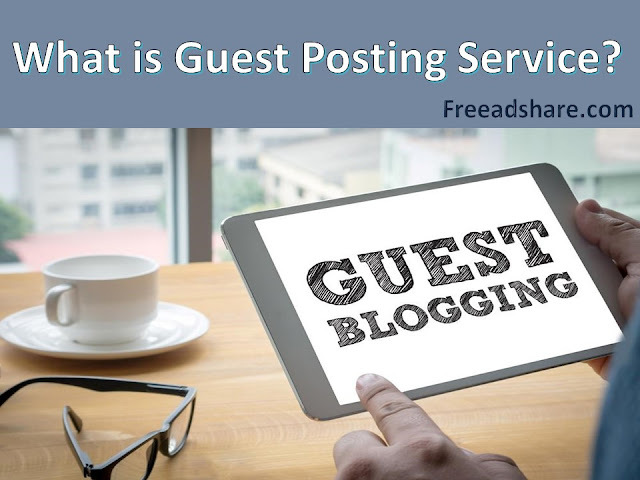 This is one of the best apps to provide online postings for classified adds too. Within seconds you can get your adds posted and your goods can be marked under sale pending, available and sold status. It is good classified apps with simple features to offer. Not only adds, you can post job vacancy through this app too and can get the employer for your organization an as well. One of the best-classified posting apps which provides facility to post adds including pictures. Not all apps give this facility. The classified listing can be deleted anytime and photos can be added using gallery or you can get a current picture and post immediately. It is ranked among best-classified apps for posting via mobile. The highly trusted app, you can post your add-in under categories of your choice just like the other apps. You can update your listings anytime. Also, sellers can chat without revealing their identity. 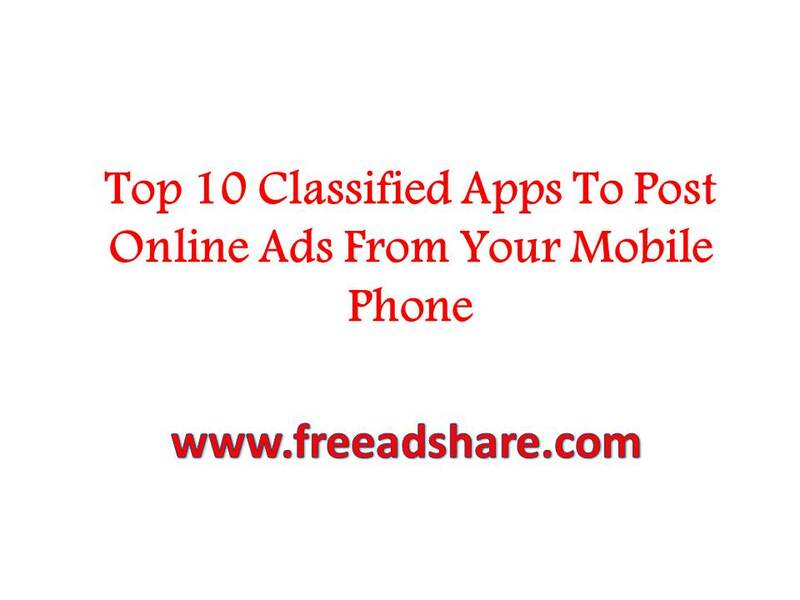 It is among top picked apps for classified posting. There are no limits, you can post as many advertisements you want. Buyers also get app alerts which inform about the best deals available. It is one of the simplest and highly popular apps for classified posting, buying and selling stuff. You can select the category of your choice under which your product is suited. It is available both for Android and Apple users. One of the top names in ad classifieds arena, OLX has attained a safe and secure status when it comes to buying or selling products. You can use this app for buying/selling in the different parts of the world or in the city of your choice. Classified add posting is absolutely free of cost here.